TIRANA (Albania), March 12 (SeeNews) – Norway's Statkraft said on Tuesday its subsidiary in Albania has entered into an agreement with Norwegian floating solar technology developer Ocean Sun for the delivery of a floating solar plant with a maximum capacity of 2 MW at the Banja reservoir in southeastern Albania. The solar park will consist of four floating units of 0.5 MW each, with a total investment cost of 2.3 million euro ($2.6 million), Statkraft said in a press release. “Testing new technology for floating solar power panels fits very well with Statkraft’s strategy to grow our renewable energy generation from hydro, wind and solar. 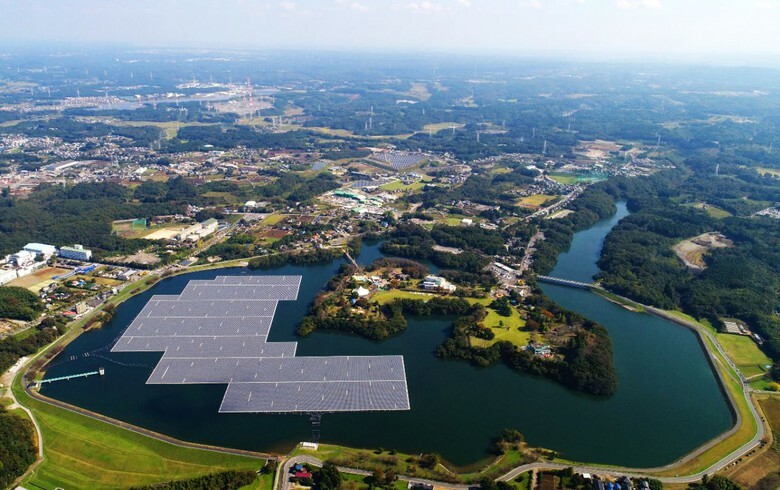 If the technology is proven successful and the potential for cost-competitiveness can be achieved, a wider application of floating solar may take place in other Statkraft locations,” Statkraft CEO Christian Rynning-Tonnesen said. In December, Statkraft Albania received a preliminary authorisation from the Albanian government for the implementation of a floating solar plant at Banja with a feed-in-tariff, the statement noted, adding that the solar plant is subject to final regulatory approvals and is expected to be constructed during 2019-2020 period. Statkraft, a leading company in hydro power internationally and Europe’s largest generator of renewable energy, is present in Albania through its wholly-owned subsidiary Devoll Hydropower and the recently established Statkraft Renewables Albania. Under a concession agreement with the Albanian government, Devoll Hydropower will develop, build and operate hydro power plants in cascade along the Devoll river. The project consists of two HPPs in the southeastern part of the country - Banja and Moglica. The 73 MW Banja HPP is operational since 2016, whereas Moglica is under construction. Earlier this month, Albania's energy ministry said that state-owned power corporation KESH is seeking a building permit for a floating solar park of 12.9 megawatt peaks (MWp), to be situated on the surface of the water reservoir of the Vau i Dejes HPP, in the northern part of the country.